Don't forget our Fright Night Hallowe'en event this Wednesday, sponsored by Meadowhall and British Land. Be very scared to miss it! Apologies were received from 3 people. The minutes of the last annual general meeting were agreed to be a true record. The chairperson presented the annual report and accounts and made some remarks about it, thanking funders, volunteers, trustees and staff for their support and explaining what the figures really mean for the sustainability of the Forum’s work. The annual report and accounts were adopted and the independent examiners, Nicholson & Co, were reappointed. One vacancy for a trustee was filled by Mr Mehran Rehman. The current trustees were reappointed. There was a discussion about the plans to open a new community gym in Tinsley and the need to have more affordable gym facilities in the area. Neil Bishop gave a report on the campaign to try to get local people recruited onto the workforce at IKEA and Meadowhall. He reported that British Land are being much more supportive than IKEA. The Council's Economic Environmental Well Being Scrutiny & Policy Committee has promised to look again at the Council's involvement in big recruitment drives like this. Some students from Sheffield University explained a project they are working on to try to create an additional community space at PMC. As the University are considering how they might be able to make use of it, Neil Bishop suggested that they look at the feasibility of delivering conversion courses there for new residents coming to work in the UK from overseas. An example would be people currently working as care workers while they raise the funds for and undertake the conversion course to register as nurses in the UK. We need to have an Annual General Meeting every year to comply with charity law. Neil has printed a copy of our annual report and accounts which you can look at during the meeting if you wish or you can call into the office to see them. They are also on the Charity Commission website. Please remember that they don’t describe how things are today, but how they were on 31 December last year. The accounts show that our income actually increased last year. This is only because of the huge efforts made by Neil, Zahira and Nazia to save money. This included working fewer hours while still trying to do as much work for the Forum as the could. You will see that our total funds on 31 December were £40,184. Some of this was money which we needed to keep to spend in 2018. That left us with £29,380. But this is not what we had in the bank. Because we are only paid gradually by the Council, we usually have about half that amount in the bank at any one time. We need this much money for cash flow reasons. That is why the staff had to make savings. 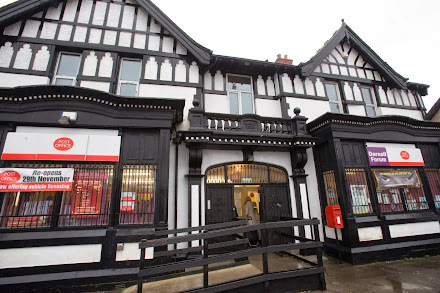 Darnall Forum Trading, which ran the post office for us, also owed us some of that money - £2,569. 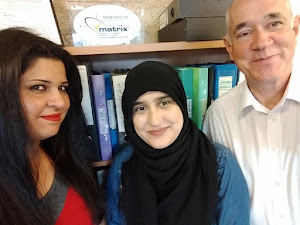 Despite making more cuts to what we do, we still managed to help a lot of people with ESOL and IT classes, employment advice, keepfit, sewing classes, cake decorating and confidence building. We organised fun events for the community to mark International Women’s Day, at Hallowe’en and Christmas, as well as an Autumn fair and a coach trip to London to visit the museums there. We have also campaigned on behalf of local people to try to get more local jobs at IKEA and Meadowhall. That campaign was still going on at the end of last year. Finally, I should like to thank all of our funders, without whom none of this work would have been possible, and the trustees, staff and volunteers for their dedication and support.